Popular chicken parts often include the breast, wing, and thigh, but the most underrated cut remains the oyster. While the name sounds intriguing for those not in the know (chicken of the sea? ), this cut of dark meat is one of the most tender and flavorful parts of the chicken. The oyster is a round piece of dark meat located on the back of the chicken by the thigh bone and the name comes from its shape (not a reference to the sea creature). Tucked away behind the lower backbone, the oyster can be forgotten by unseasoned chefs and even thrown out at times. Because of its proximity to the thigh area, the oyster is usually the juiciest and most tender part of the chicken. 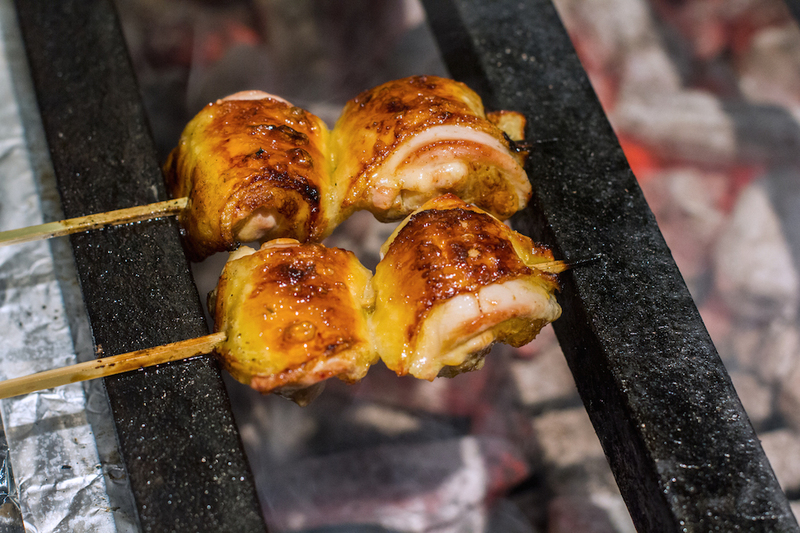 In Japanese, the chicken oyster’s name, soriresu, is said to have come from the French term Sot-l’y-laisse, which roughly translates to “the fool leaves it there.” A common skewer in yakitori, the chicken oyster is grilled with sake and salt as seasoning.